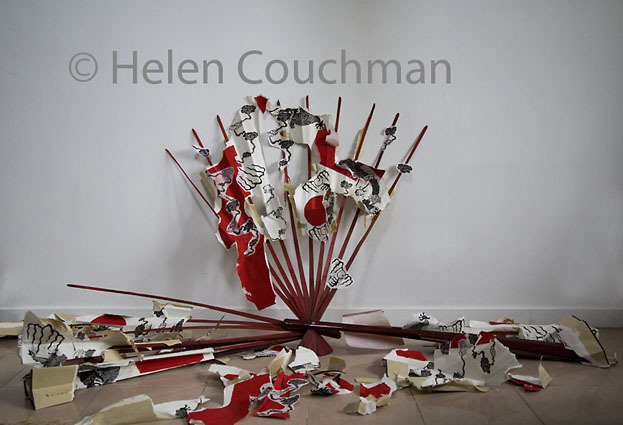 Helen Couchman’s Untitled (Collecting and Dropping) is comprised of 245 photographic prints arranged in a strict narrative sequence. 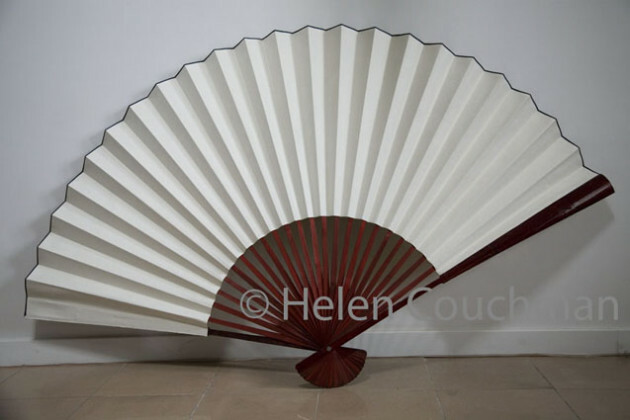 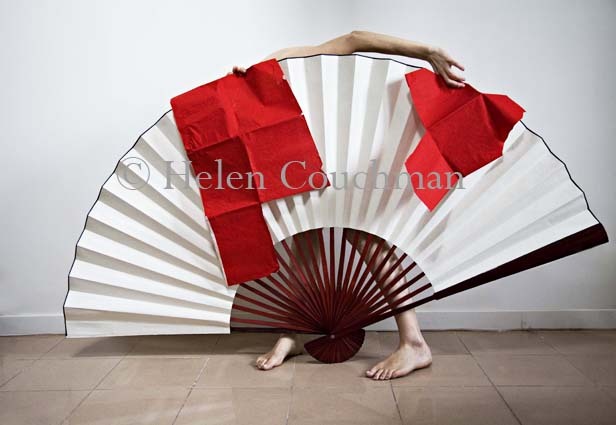 Couchman is seen in these works first of all adding a series of abstract shapes to the front of a large, initially pristine fan, going on to dissemble the object even as she decorates its surface. 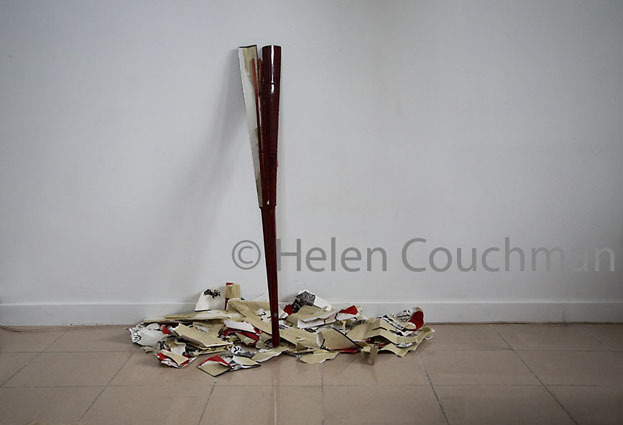 Positioned behind this ancient symbolic form, naked and ostensibly vulnerable, the artist deploys the device both as a surface on which to construct a composition, and as a kind of shield. 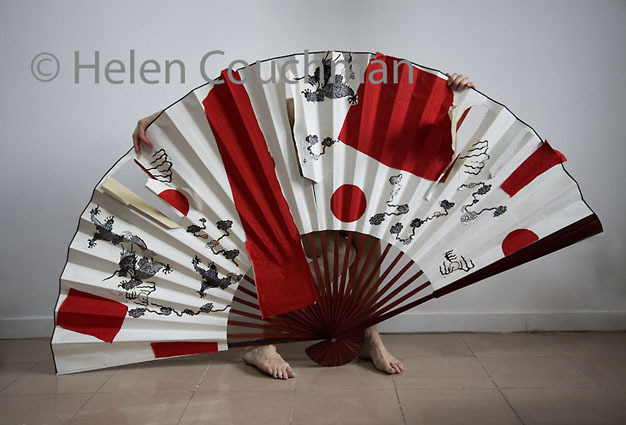 The fan, clearly displaying its own fragility as it dissolves into tears and tatters becomes both an aid to artistic expression and a line of protection, a sleek, adaptable construction behind which the artist can conceal her identity and nakedness. 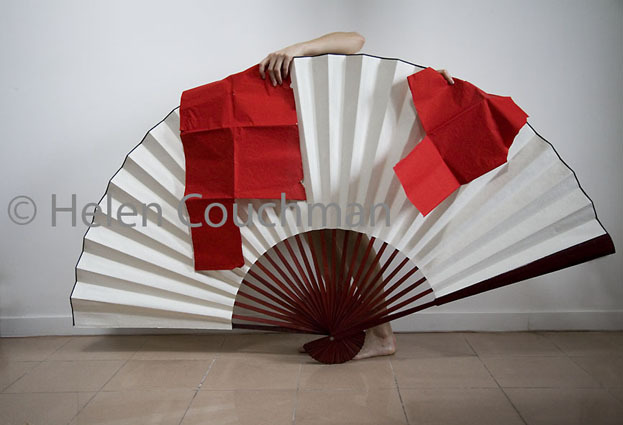 Couchman’s deracinated fan, like that of Mallarmé, makes of a few tatty fragments of wood, colour and paper (albeit manipulated by a nimble body) a concise yet simultaneously expansive aesthetic object, a teasing assertion of presence, absence and its various transformatory forms. 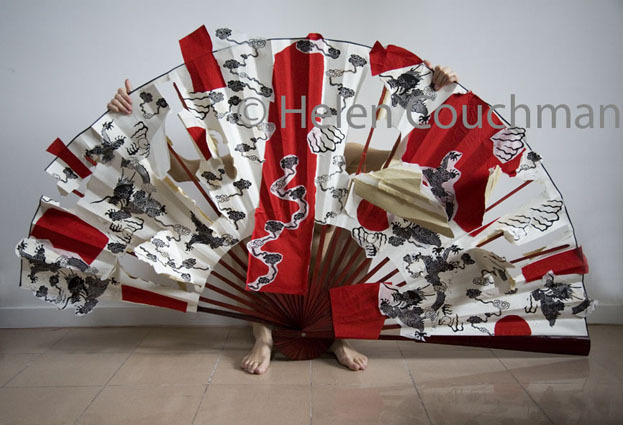 Untitled (Collecting and Dropping) like the fan around which the piece revolves, is an open work, touching upon a range of overlapping issues and ideas. 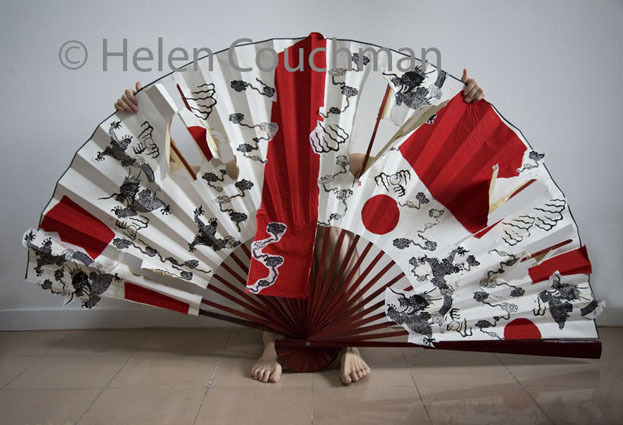 It raises thoughts about the artist’s relation (as a citizen of the UK residing in China) to tourism, to observation and to being, in turn, herself observed. 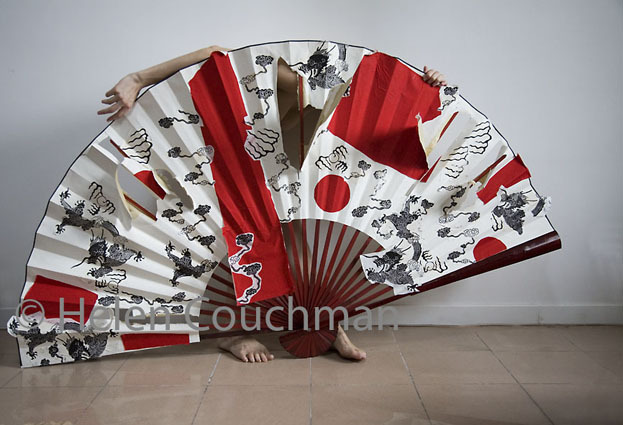 It also raises thoughts about the inevitably esoteric codes of a foreign culture in which one finds oneself still a stranger, an outsider, no matter how long one stays.